I am black and I am queer. Those two identities are together, not separate. My queerness does not come second to my blackness. I felt for a long time that I had to put my blackness first and first only, that anything else fell second and wasn’t as important. When we talk about the black community, and we talk about black history, so much of the discussion is about black people as a monolith rather than individuals with varying struggles. 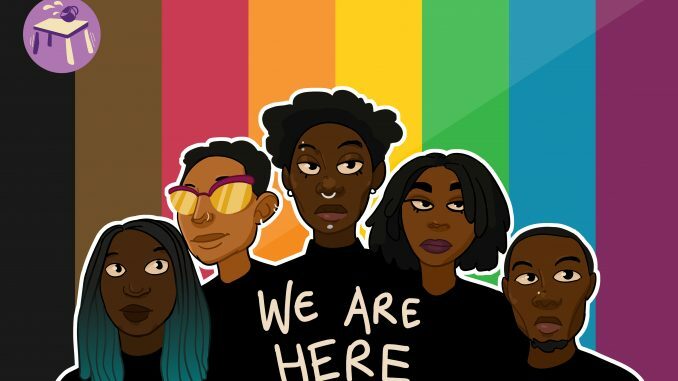 The narrative tends to be centered around heteronormative black bodies, which can inadvertently erase queer black people and their many accomplishments. Our most notable black figures in history that are discussed are straight: Frederick Douglass, W.E.B. Du Bois, Martin Luther King Jr., Ida B. Wells, Madam C. J. Walker and Rosa Parks to name a few. Black people make up a small percentage of the U.S. population and less than four percent of black people identify as LGBTQ+. 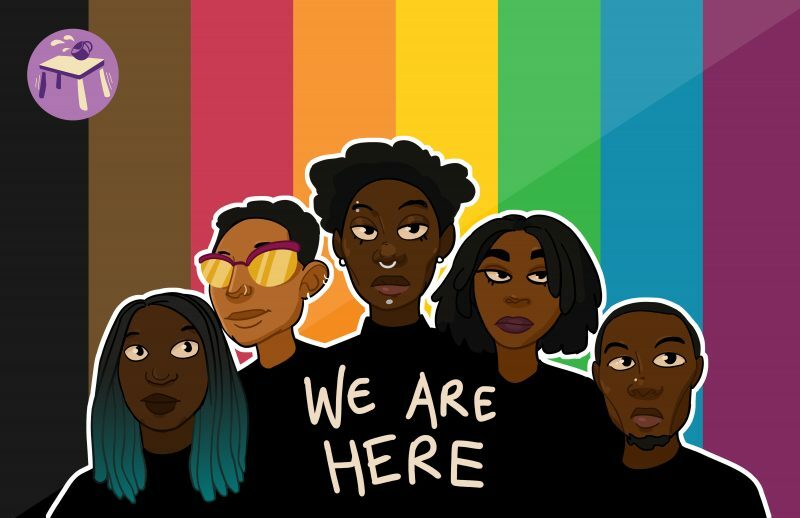 While I acknowledge that acquiring data on the LGBTQ+ community can be difficult because that information isn’t readily available and not everyone is open about their identity, it doesn’t mean that we don’t exist or that queer black people didn’t exist during periods like the civil rights era. The erasure boils down to a game of respectability politics, as well as homophobia and transphobia. Respectability politics is the idea that within marginalized groups, people within that group police members so that the values and efforts of the group are aligned with mainstream values, as opposed to unorthodox values that challenge the mainstream. Some people within the black community try to separate black, women’s and LGBTQ rights — as if they don’t intersect. A point of intersectionality is to show how systems of oppression overlap and influence one another. Oppression across the board is connected. It’s critical to include LGBTQ+ black people in black history because they are black history. Leaving out gay, trans and non-binary black people out of history creates similar harmful environments of oppression that racists do unto black people. I want to point out six queer black figures we should be celebrating this Black History Month. 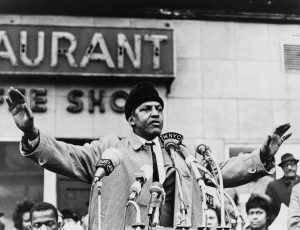 Bayard Rustin worked alongside Martin Luther King Jr. and was a leading strategist during the civil rights movement. Rustin helped organize the 1963 March on Washington. Near the end of his life, in the 1980s, he spoke openly about gay and lesbian rights. In 2013, Rustin was posthumously awarded the Presidential Medal of Freedom, the nation’s highest civilian honor. By New York World-Telegram and the Sun staff photographer: Wolfson, Stanley. Library of Congress Prints and Photographs Division. 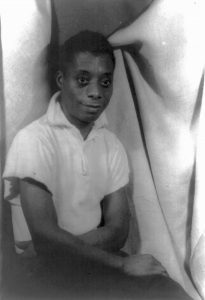 James Baldwin, a playwright and social critic, is known for his groundbreaking 1956 novel, “Giovanni’s Room,” that displays themes of homosexuality and bisexuality. By Carl Van Vechten – This image is available from the United States Library of Congress’s Prints and Photographs division under the digital ID cph.3a42800. By Carl Van Vechten – Van Vechten Collection at Library of Congress. Before Rosa Parks, Pauli Murray was arrested and jailed in 1940 for refusing to sit on a broken seat in the back of a bus in protest of a Virginia law that required bus segregation. A writer and labor organizer, Murray worked alongside Bayard Rustin and Martin Luther King Jr. during the Civil Rights movement. 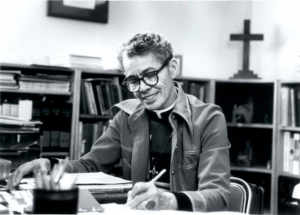 Murray was the first African-American woman to be ordained as an Episcopal priest. By Carolina Digital Library and Archives – Carolina Digital Library and Archives. “Murray, Pauli, 1910-1985.” 5 July 2007. Online image. UNC University Library. Marsha P. Johnson was a transgender rights activist and a prominent figure in the 1969 Stonewall uprising. 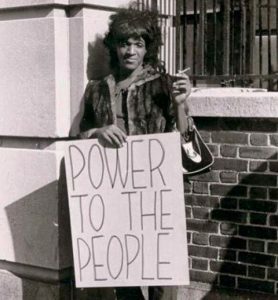 Johnson, along with Sylvia Rivera, helped form the Street Transgender Action Revolutionaries and the STAR House to help young trans women and drag queens in 1970. While STAR only lasted three years, many consider it be a revolutionary organization in the queer liberation movement. 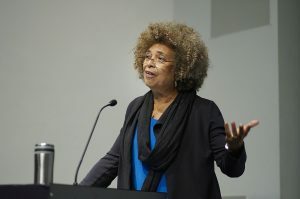 My bias is jumping out as I must mention political activist, academic and black feminist Angela Davis. She was at the forefront of the civil rights movement with many others and is a former Black Panther Party member. Davis came out as lesbian in 1997 in an interview with Out magazine. There are hundreds of other queer black figures but you would never know from the media and our textbooks. I’m proud to be black and queer. I’m making history just by existing within my own identity and being open about it. Showcasing black queer history is long overdue. We must uncover the hidden figures in black history whose sexuality gets overlooked based on their queer identity. 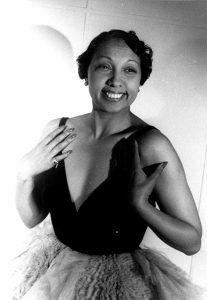 Brianna Scott, where do you base your claim that Josephine Baker was bisexsual? What are the facts? Where did you get your information? I have researched the life of Josephine Baker extensively, and there are no facts to find for the rumors going around in the internet about her bisexuality. She never pronounced such identification herself. She was married to men a few times, and was in a long term relationship with a man. That’s called heterosexuality. If you base your “info” on Jean-Claude Baker’s (Not his real name, and who falsely claimed to be one of Josephine’s 13 adopted children – fact: she had 12 children), then you are basing your claim on Jean-Claude Baker’s fantasy. Another fact: Josephine threw one of her sons out of her home and sent him away because of his homosexuality. The boy was only 14 at the time. Please, don’t believe everything you read online.